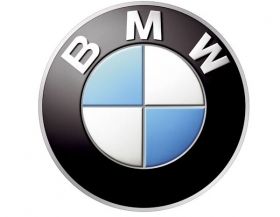 FRANKFURT (Bloomberg) – BMW AG sold 1,224,280 cars in 2010, a rise of 14.6% on 2009 figures. Sales of the newly introduced BMW 5 series helped boost sales as deliveries increased 22.6% year-on-year to 211,968 units in 2010. The BMW Group, manufacturers of BMW, Mini and Rolls-Royce models delivered 141,358 vehicles last month, 14 percent more than a year earlier, the Munich-based company said today in a statement. That helped push full-year deliveries to 1.46 million, surpassing its target of 1.4 million. BMW will debut the 6-Series convertible in Detroit this week and the M1, the first high-performance version of the 1- Series compact. Mini will present the Paceman concept car, a coupe based on the Countryman SUV. “2010 was a very successful year for us. We are “spot on” with our new models and are building the cars people desire. We advanced on all continents, in large and small countries alike and continued with a good sales balance between Europe, Asia, and the Americas,” said Ian Robertson, member of the board of management of BMW, responsible for Sales and Marketing, at the North American International Auto Show in Detroit. “Looking ahead, we plan to remain the world's top selling premium automaker and expect sales to climb to over 1.5 million units in 2011 setting new record highs for the Group and its three brands,'' he added. Growth in China and a rebound in the U.S. are propelling a recovery in luxury-car demand following the global recession. BMW, which is targeting 2 million sales by 2020, expanded its lineup with the X1 SUV late in 2009 and added the Mini Countryman in September. The overhauled 5-Series was introduced in March. A total of 16,132 BMW and Mini vehicles were sold in China in December, a rise of 59% over 2009. 2010 sales rose to 168,000 units, a year-on-year rise of 86.7%. BMW Group's Mini brand sold 234,175 units in 2010, a yearly rise of 8.1%. Deliveries were boosted in part by the success of the Mini Countryman SUV launched in September, which sold 14,337 units. The U.S. remains the Mini's biggest market with sales of 45,664 units sold in 2010. BMW is expanding to defend its lead over Daimler AG's Mercedes-Benz and Volkswagen AG's Audi, which aims to topple BMW as the luxury leader by 2015.